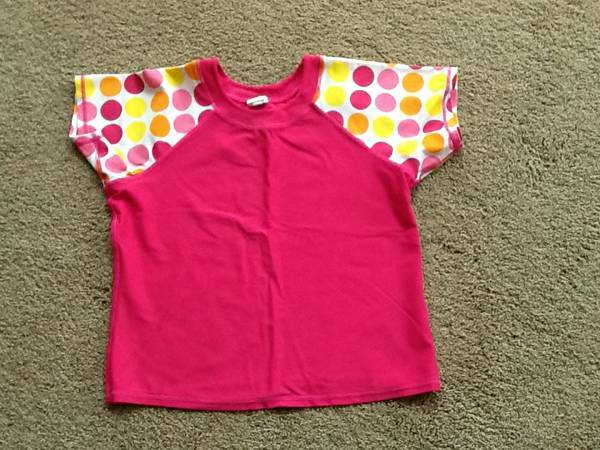 Great deals on girls clothes......great condition.....No holes or stains. Will sell items separately.......See details of prices below. Can accept payment and ship through PayPal for a small charge. 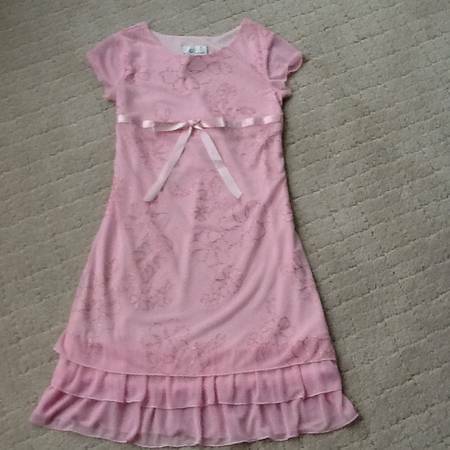 Pic #1 - Pink dress with a shear see thru overlay. Pink sparkle flower design. LIKE NEW! 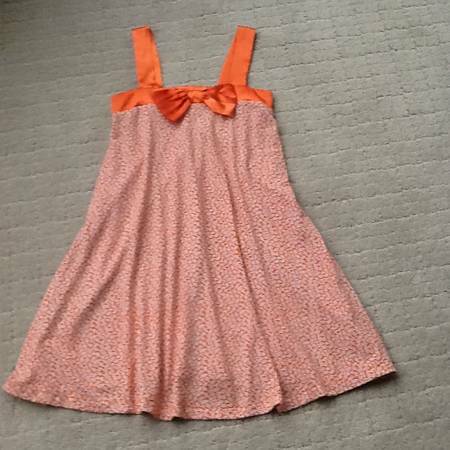 Pic #2 - Orange swing dress. Size 10. Price $5. Pic #3 - Pink skirt, Black skirt with star design and Lime Green Old Navy skirt. All of these have built in shorts under the skirts. Size 10. 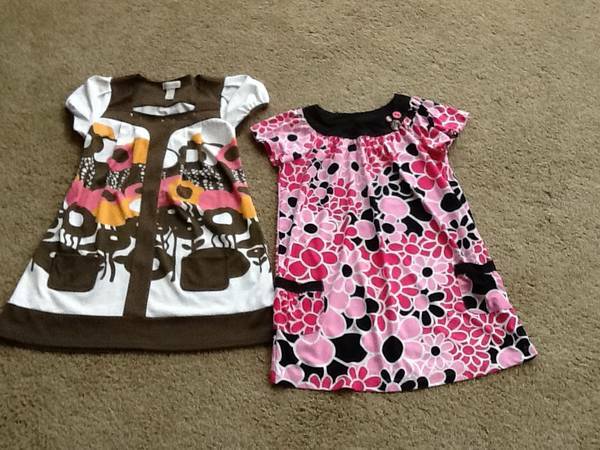 Pic #4 - Cute tops to wear with leggings......Includes: Emily West Pink/Black top and Limited Too Brown/White/Pink top. Size 10. Price $5 each. 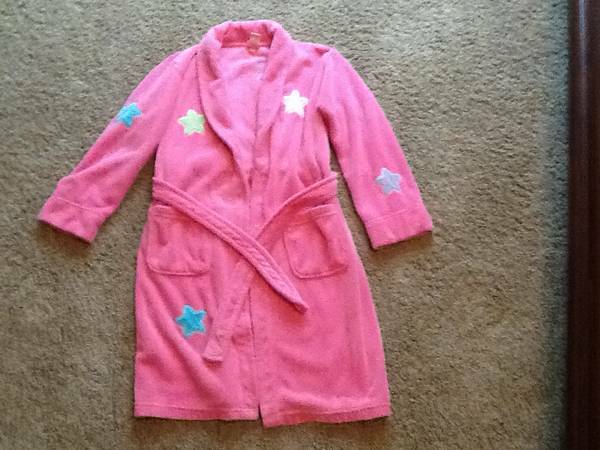 Pic #5 - LIKE NEW.......Soft and plush, comfy robe. Pink with stars. Belt and 2 front pockets. 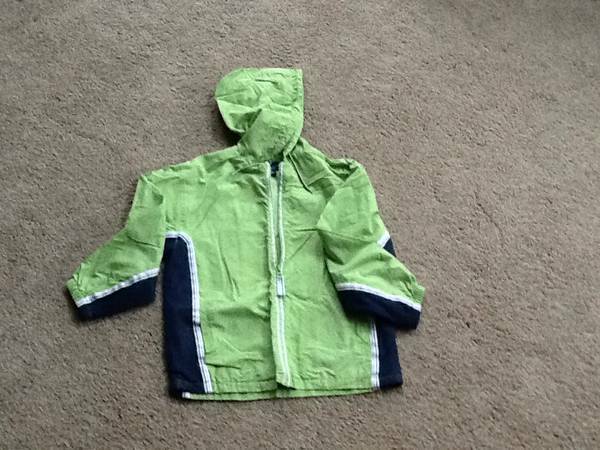 Pic #6 - Lime Green / Navy water repellent rain Jacket. Full zip with Hood and Pockets. Pic #7 - Justice outfit....white tank top with embroidered neckline and some sparkle, built in bra and adjustable straps plus matching peach shorts. Size 12. Price $5. Pic #8 - 5 shorts include Pink/gray plaid, Blue plaid Lee, Black Limited Too, Pink shorts, Tan Old Navy shorts.......Size 10. All shorts have adjustable button waists inside (except pink/gray plaid shorts). Price $3 each pair of shorts. 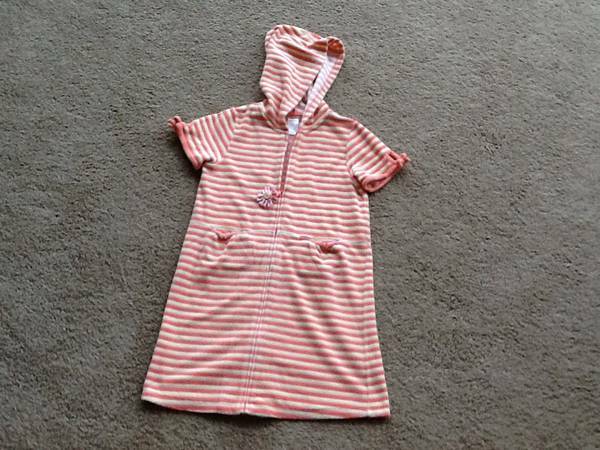 Pic #9 - Swimsuit Coverup by Gymboree. Has a hood and 2 front pockets. Full length zip with cute flower on zipper pull. Size 10. Price $5. Pic #10 - Swimsuit Top coverup to protect from sunburn. Worn once....tag says size 14/16, but fits smaller like a size 10. Price $3. Pic #11 - Hangers - Sets.....8 pink, 8 blue, 8 white, 8 clear or 5 clip hangers. Price $1 for each set.....total $5 for all hangers pictured.